Free shipping on orders of €50 or more! ‘NESPRESSO’ is the registered trade mark owned by Socit Des Produits Nestle S.A. and any use of the term is an indication of product use and compatibility only. 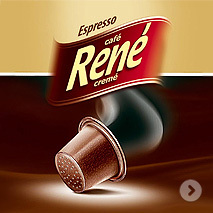 Cafè Renè or Cafe Impresso coffee capsules are not made by Nespresso. These are Nespresso compatible coffee pods that are suitable for using in all domestic Nespresso coffee makers such as Nespresso U, CITIZ, ESSENZA, PIXIE, MAESTRIA, LATISSIMA etc. If you are currently buying your capsules from Nespresso - this guide will help you find the Caffé Impresso blend to best suit your taste. I ordered my coffee pods at about 3pm, and as promised they were delivered next day, at 9am in fact. Great coffee, all the different flavours are a great hit in the office and are as nice if not nicer than the Nespresso capsules, I would recommend coffeemania.ie to anyone in a heartbeat, really impressed with your service and coffee! Great seller, coffee arrived next day very well packaged. Only tried one blend so far and I prefer it to the nespresso pods. Will defo buy again. Ordered some coffee pods for my Philips Senseo machine – received my order next day, coffee tastes great, Dark Roast is a real kick in the morning! 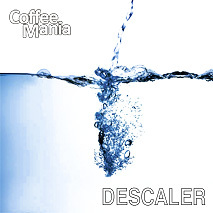 Would have no hesitation recommending Coffee Mania to anyone. My coffee arrived next day! These Senseo coffee pods are really nice just as good if not better than the Senseo brand I buy and cheaper will certainly buy it again. Delighted with my purchases and really prompt delivery, would recommend Coffee Mania to anyone! We switched over to Coffee Mania for our Nespresso requirements because of the attractive value compared to the other suppliers. I can’t see any difference in quality and its cheaper than Nespresso. Always prompt delivery too. The coffee is lovely – great alternative to nespresso capsules. 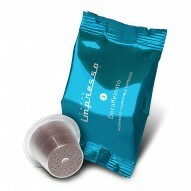 Great range of coffee capsules, excellent taste, cheaper than Nespresso what else you need? Great value! Same taste as Nespresso capsules! I’m using the coffee capsules with my nespresso machine and wish to say that it is fabulous. I had my order within two days, very reasonable price and wonderful taste. I drink espresso and Caffe Impresso Intenso strength 12 hits the spot perfectly. My wife is drinking the strength 9 Milano and she prefers it to the nespresso capsules.